Five years out of Harvard Business School (HBS), Tiffany (Niver) Nida – a 2012 Edie Hunt Inspiration Award winner – is crushing it at as a senior manager in Amazon’s Transportation Product Management group. At HBS, Tiffany actively made a difference for her fellow female students. Now at Amazon, she’s still at it – and she offers practical wisdom for women who want to become leaders. Forté: What does Amazon’s Transportation Product Management Group do? 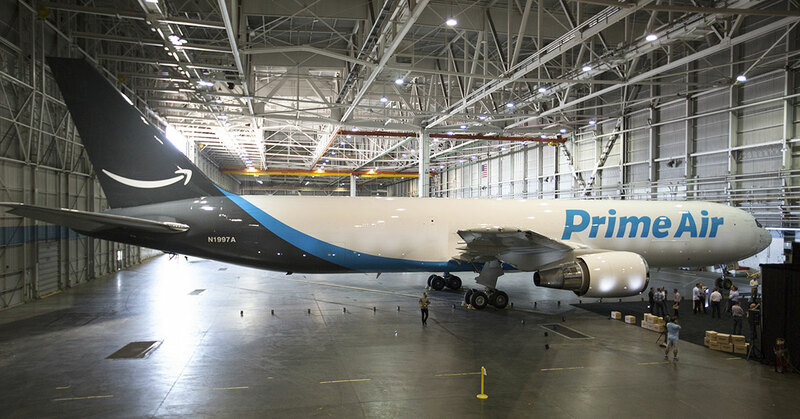 Tiffany: Transportation Product Management is a little-known area of Amazon, but it is exciting. Amazon relies on accurate and timely delivery of packages to our customers. To meet the quality needs of customers in different geographies around the world – particularly in emerging markets where e-commerce is newer – Amazon is focusing on innovations to delight our customers. I studied Economics and Psychology as an undergrad. With a liberal arts degree, getting foundational business knowledge was important. How was your life impacted by receiving an MBA? What have been the greatest benefits? It is a credential that gives others confidence in your abilities. Others lean on me because I have a broad knowledge to fall back on and can leverage it, if necessary. Please share your advice for an incoming MBA or first year MBA on how to make an impact as a leader on campus. You can’t do everything, and you are not expected to. Come to grips with that – it’s not easy! You should be clear in your priorities. There are a whole lot of ways to spend your time – academically; networking; wellness; socially; romantically – and they may change each semester. Whatever they are, find out your priorities and stick to them because it is easy to get distracted with other people’s priorities. You can’t do everything, and you are not expected to. Come to grips with that. What advice do you have for young women MBAs who are entering the workforce today? In your first couple of years, it is important to build a reputation for yourself, deliver results, build strong relationships, and learn a lot. A lot of people get focused on substantial progress toward a 5- or 10-year goal, and that is an output. If you focus on results, relationships and showing what you’re capable of, the outputs come later. Becoming known for something will pay dividends in the long-run. What has been the biggest surprise to you after entering the work force? The most positive surprise has been how much people are willing to take risks on me, particularly the more time I invest in this company. This may be specific to Amazon, but for the most part – when you ask for something that is very specific – your leadership will try to help you make it happen. I get super jazzed about helping develop other peoples’ careers and promoting people. I have team of 15 now. I spend a lot of time thinking about how we can deliver more for our team and customers and how I can make people more optimally happy in the environment and with the business challenges we face. Can you share any challenges or hurdles you have experienced during your career? You’ll always run into hurdles. My suggestion is to think of how you want the situation changed – and propose resolutions. Don’t suffer in silence. Ask for help. Bring awareness to your manager and be specific about what you want. Where would you like to be 5 -10 years down the road? I want to be running a business. Amazon gives you tons of ownership, and right out of my MBA I was owning a P&L. I like to create things, solve problems and delight customers, and I would like to do that with greater responsibility and impact. I have had some of the most incredible mentors and sponsors at Amazon. They have two qualities that inspire me: 1. They pull me along faster than I might be comfortable with, and lean on my skills and capabilities. 2.They are really honest with me about areas I need to develop. It is courageous because they risk alienating you, but they do it for your benefit. Their selflessness, generosity with their time, and thoughtfulness have helped me develop immensely. Do you have any observations specifically about being a woman in business? Trust that leadership will set up you to succeed. Just like any risk-mitigation, also think about areas where you might not know something and try to round out your knowledge or ask for help in that particular area.